Switching from manual testing to automation, you would want a testing tool that’s not only easy to adopt but also scales with your testing requirements. While robust automation tools like Selenium are available, they also require really good coding skills. Record and playback testing tools would seem to be the obvious choice. Especially, when you plan to incorporate automated testing quickly. What is a record and playback testing tool? The tool is mostly a browser extension/plug-in which records a tester’s interaction with the website (or a web application). The test-scripts are auto-generated which can be executed (playback) for testing. It is a tool best for executing the same tests many times over, it can often be more efficient. It is a Firefox extension that allows you to record, edit, and debug tests. Selenium IDE contains the whole Selenium Core to record and playback tests in the actual environment that they will run. Such record and playback testing tools are easy to learn and faster to develop tests. However, there are serious limitations on their reliability. A general complaint with the record and playback tools is that they are brittle and difficult to maintain. Due to frequent changes in the code, especially the UI, the record and playback tests often break. Re-recording these test cases would require the same time as manual testing. Thereby, not saving any time. Test maintenance becomes difficult as re-recording for even small changes. Any error in the auto-generated test script takes a lot of time for debugging. The data in these tools cannot be modified during the automation. Hence, making them unviable for data driven testing. Such limitations have narrowed the scope of record and playback testing tools in QA. They have been reduced to a mere learning tool towards scripted automation tools which have their own set of problems. What if you had an alternative that is fast & easy as a record and playback testing tool yet as robust as testing Selenium WebDriver? CloudQA uses a smart test recorder to auto-generate test scripts. It is more advanced than any other record and playback testing tool. It allows testers to pick CSS, add assertions, identify nested iframes, and more. While CloudQA is made for today’s complex web applications, such competencies are not found with the conventional test recording tools. It is more than a test record and playback tool. It is a holistic QA platform built on top of Selenium. 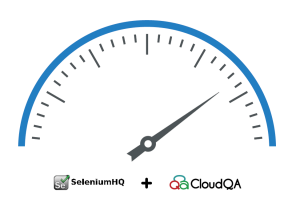 With all the test automation power of Selenium WebDriver, CloudQA offers a ton of value added features. It has a built-in feature for data driven testing, cross browser testing with real browsers and test scheduling. All done within a few clicks. Features like editing steps and reusable tests make test-cases easy to maintain, which is a common limitation both of record and playback testing tools and Selenium WebDriver. Set up useful test in minutes! 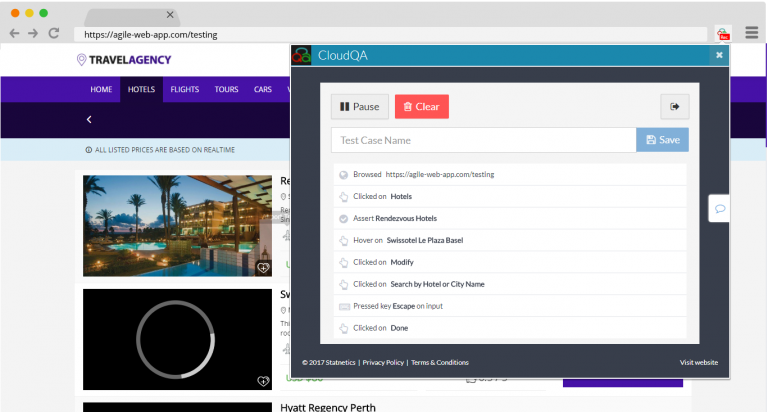 Unlike the conventional testing tools, CloudQA offers out of the box integrations with third-party tools like CI/CD, team collaboration and bug tracking tools. Download our White Paper: WHY IS CODELESS TEST AUTOMATION BETTER THAN CONVENTIONAL TEST AUTOMATION? The major advantage of using CloudQA is its low costs of infrastructure and maintenance when compared to Selenium. CloudQA is an integrated platform for various testing like regression testing, functional testing, load testing, and synthetic monitoring. You only need to record one test case for all of them. You can also “playback” or execute your recorded sessions at any time and in multiple environments. Read more about CloudQA.